The procedural buildings generator from http://www.tysonibele.com/ has eaten up quite a lot of our free time in the week since its was released. With updates coming thick and fast it now includes automatic texture creation complete with an included texture pack. If digital urban gave out awards, this plugin would win a big shiny gold one, fantastic stuff and so refreshing to see this level of quality without an equally high price tag. Head over to http://www.tysonibele.com/ for the download. Indeed, it´s an awesome tool. And this blog is one of my greatest findings this year, congratulations for your work. "Buildings can now be automatically exported as MR proxies. 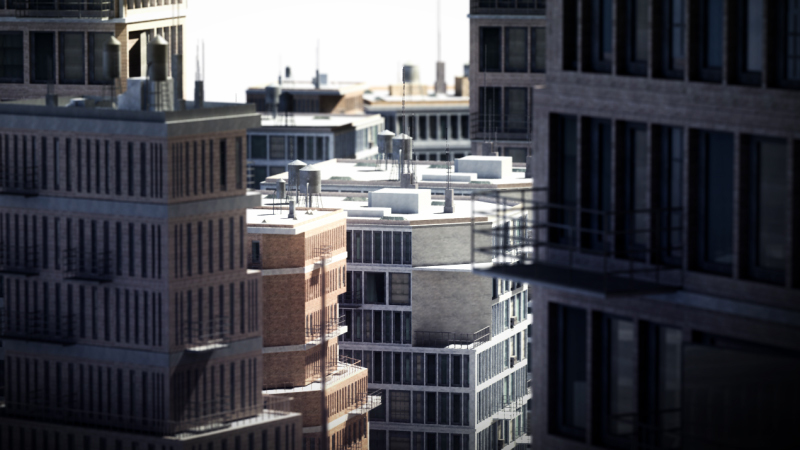 I did a test with this feature and was able to create and render a scene in MR with 16,000 fully-detailed buildings (2.2 billion polygons)"
Digital Urban ought to give out awards!